If you have a sweet tooth like I do you probably have a few local go-to stops for your favorite confections. For me, it’s Graeter‘s for ice cream, Esther Price for, IMHO, the best chocolates around, and last but not least, Busken Bakery. Whether it’s the Schnecken, the infamous smiley faced cookie, or my weakness… those ridiculously addictive iced tea cookies! I can easily say Busken has been at the top of my list since childhood. 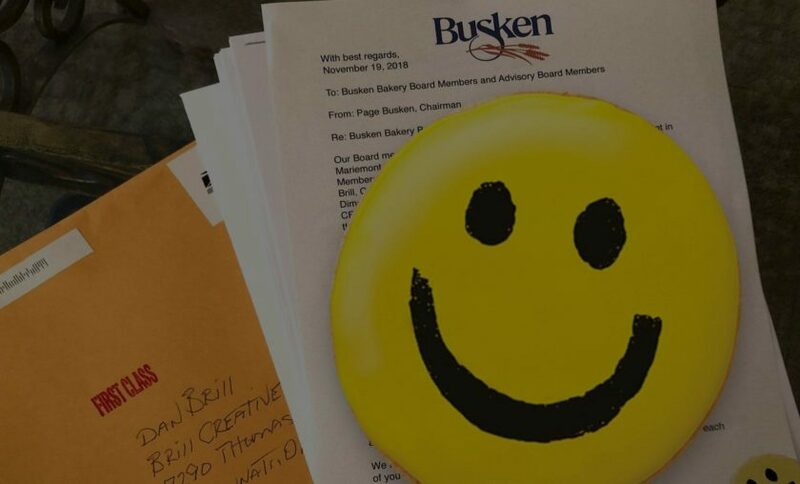 So, when an email from Brian Busken appeared in my inbox with an invitation to join the Busken Bakery Advisory Board, I was excited. Excited and honored to sit at the table of this 90-year-old, 3rd generation, family-owned Cincinnati favorite. I’m looking forward to adding value and bringing nearly 20 years of advertising and marketing experience to the table. Be on the lookout for more sweet news to come throughout 2019.